The look brings me back to my high school private school days. I love putting a sweater over a a flannel look because it instantly dresses it up. I added a belt to give more shape to the look because otherwise it can seem a little top heavy. This look is my g0-to for grabbing coffee with friends, it’s got an academic feel to it that works well with coffee houses. 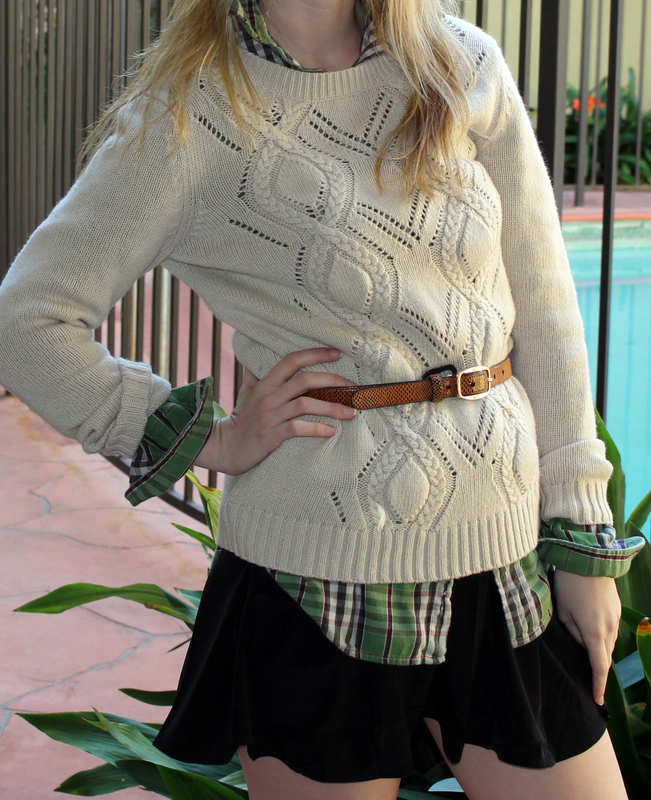 The flannel is American Living, the belt and sweater are Gap of course (one of my favorite brands).